Meadowbrook Press is a children’s publisher that is focused on high-interest titles, featuring joke books, kid-selected poems, and silly stories that are sure to engage readers of all ages. Written for middle readers, Meadowbrook Press is committed to providing quality books for all children, and in guiding learning through laughter. Ooops! The zoo keeper accidentally left the door to the monkey cage unlocked. 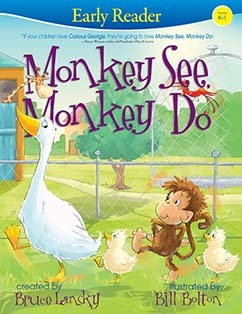 Curious to explore the zoo, Lil' Monkey sets out to meet some other animals and learn some new tricks. Come along on this delightful adventure in the charming zoo created by illustrator Bill Bolton. In the end, we learn that being yourself is the best thing to be. Twelve-year-old amateur sleuths Hawkeye Collins and Amy Adams love to solve mysteries. They interview suspects and examine crime scenes looking for clues. 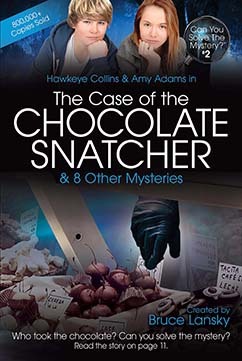 Hawkeye and Amy share all their clues with readers, so readers can solve the mysteries too. As soon as the readers have come up with a solution, they can read Hawkeye and Amy's solutions in the back of the book (in mirror type) to find out if they've cracked the case. Each book contains 8 to 10 clue-filled mysteries that are exciting to read-and hard to put down. We're excited to present the first four titles in this series-redesigned to introduce the fun of solving mysteries to a new generation of readers. A drugstore clerk reports that a masked thief has just stolen a small fortune in fancy chocolates. The getaway car leads Hawkeye, Amy, and Sergeant Treadwell to three suspects. Each of them has a perfect alibi, but Hawkeye makes a lightning-fast sketch and cracks the case; how did Hawkeye know which suspect was lying? 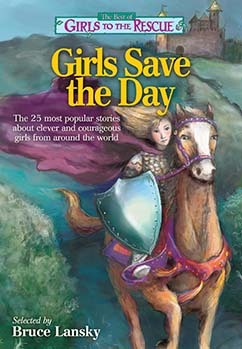 Girls Save the Day features the 25 best stories from the Girls to the Rescue series about girls around the world who save the day through brains and bravery. This groundbreaking series for girls ages 7-13 has been endorsed by parents, teachers, and psychologists as an entertaining learning tool that provides positive role models. The selected stories in this edition rise above the rest and speak to today's girls. With international and multicultural appeal, it's a great alternative to American Girl. 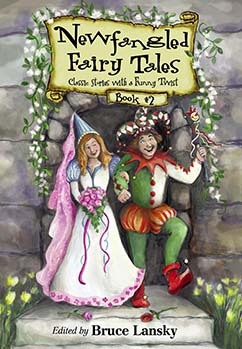 Newfangled Fairy Tales is a critically acclaimed series containing collections of ten contemporary fairy tales in each book; they put a delightful, new spin on classic stories and themes. Michelle Koszlowski desperately wants to be a princess until her wish comes true and she discovers what a pain royal life can be. The Little Tailor brags to everyone about his bravery until a giant comes along and teaches him a lesson. Rapunzel is held captive in a high-rise apartment by an urban witch who owns a pizza parlor. 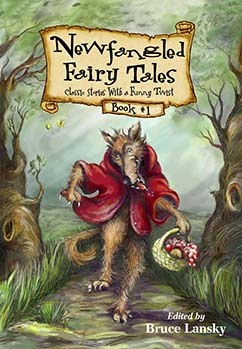 Newfangled Fairy Tales is a critically acclaimed series containing collections of ten contemporary fairy tales in each book; they put a delightful, new spin on classic stories and themes. King Midas is a workaholic banker who'd rather play with his money than attend his son's Little League baseball games. The Big Bad Wolf is running a successful scam on Little Red's grandma until Little Red catches him in the act. The Three Bears invade Goldy's house because their forest home is being stripped to build a superhighway.